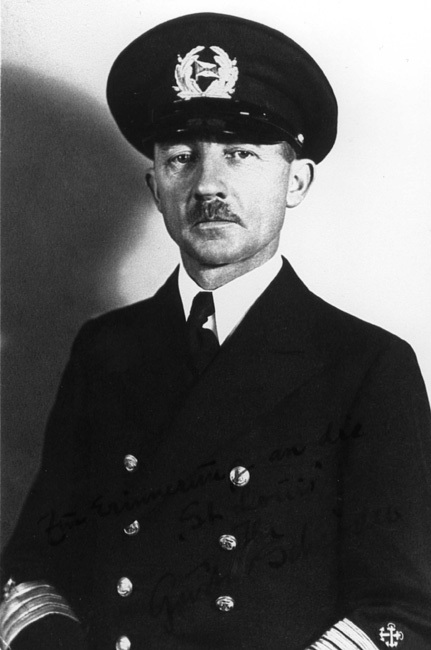 Gustav Schroeder was captain of the fateful voyage of the St. Louis, which, in May 1939, set sail from Hamburg to the Americas with more than 900 Jewish passengers aboard. 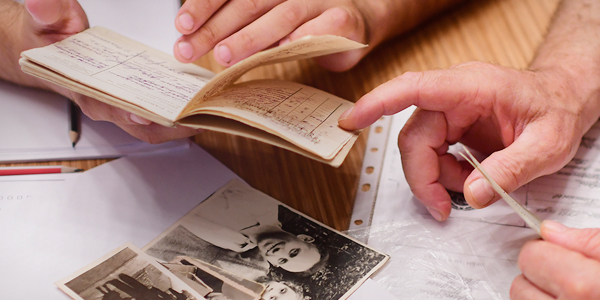 After crossing the Atlantic, the fugitives from Nazi Germany - many of whom already had been arrested once in the wake of Kristallnacht in November 1938 - were denied entry by both the Cuban and the American authorities. The pariah ship was forced to turn back to Europe. However, instead of heading straight back to a German harbor, Captain Schroeder stalled on the voyage back, refusing to return to Germany until he had found a safe haven for his Jewish passengers. He even went so far as to develop a contingency plan by which the St. Louis was to be spectacularly shipwrecked near the English coast in order to force the British authorities to take some action. Finally, however, a solution was found, and the passengers were allowed to disembark in Antwerp, after Belgium, Great Britain, and France had come to an agreement with the American Jewish Joint Distribution Committee to each take in a certain number of people. Had the St. Louis headed straight back to a German harbor, its Jewish passengers would have all certainly ended up in Nazi concentration camps. It was, thus, primarily thanks to Captain Schroeder’s courage and determination not to abandon his Jewish passengers to their fate that many of them were able to escape the Nazi death trap. On March 11, 1993, Yad Vashem decided to recognize Captain Gustav Schroeder (posthumously) as Righteous Among the Nations.